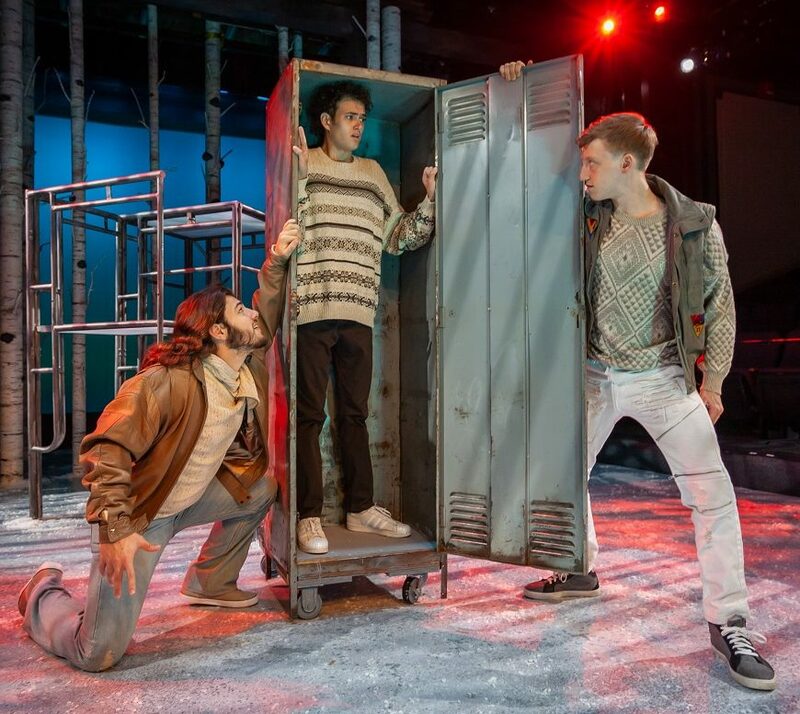 The Hippodrome Theatre presents a stylized version of the coming-of-age story from Sweden involving a bullied boy and his mysterious next-door neighbor who packs a serious bite — just in time for Halloween. Perhaps you’ve read “Let the Right One In,” the 2004 vampire novel by Swedish author John Ajvide Lindqvist, or seen a version of the movie by the same name. The story plods along, following 12-year-old Oskar and his budding friendship with the girl next door who, oddly enough, emerges only at night. 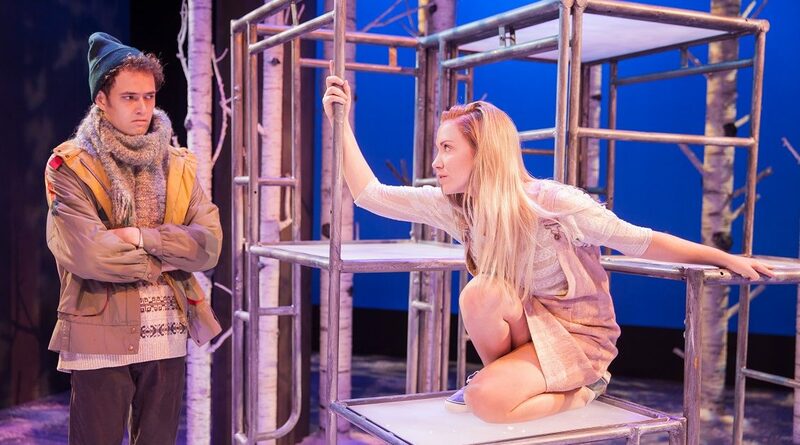 Starting this week, the Hippodrome Theatre takes that unconventional boy-meets-girl story and turns it on its head with a spellbinding and spine-tingling stage adaptation written by Jack Thorne of Harry Potter and the Cursed Child fame. 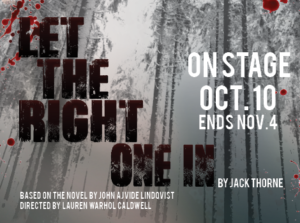 Opening Night for Let the Right One In is Friday at 8 on the Hipp’s mainstage. There will also be performances Saturday at 5 p.m. and 8:30 p.m. and Sunday at 2 p.m. followed by seven performances a week through Nov. 4. Be forewarned: Let the Right One In is not for the squeamish, nor is the adult content suited for children. 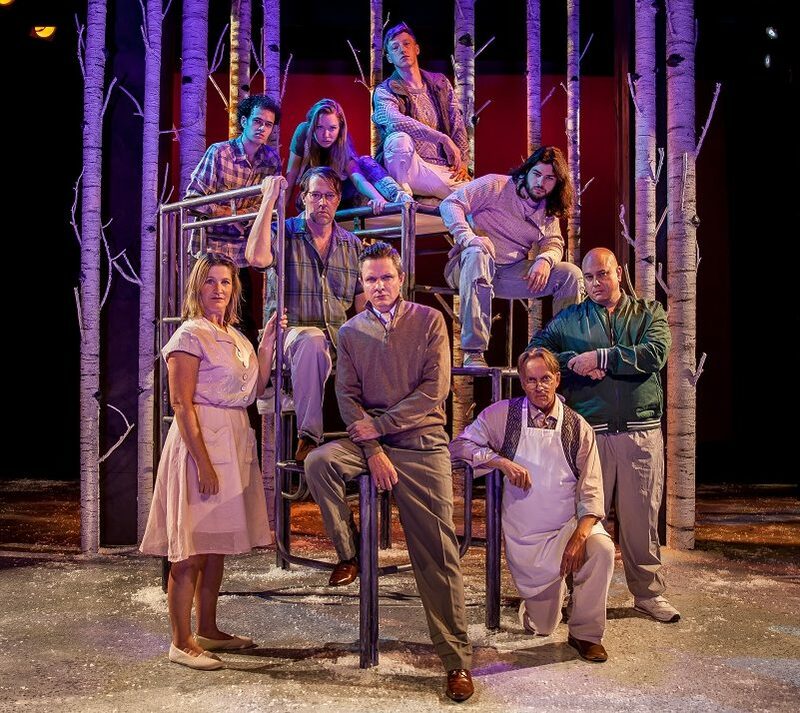 However, what director Lauren Warhol Caldwell and her talented cast and crew have created for Gainesville audiences is nothing short of riveting. From a ghastly opening scene to its engrossing finale, Let the Right One In is an immersive theater experience that will leave you breathless. 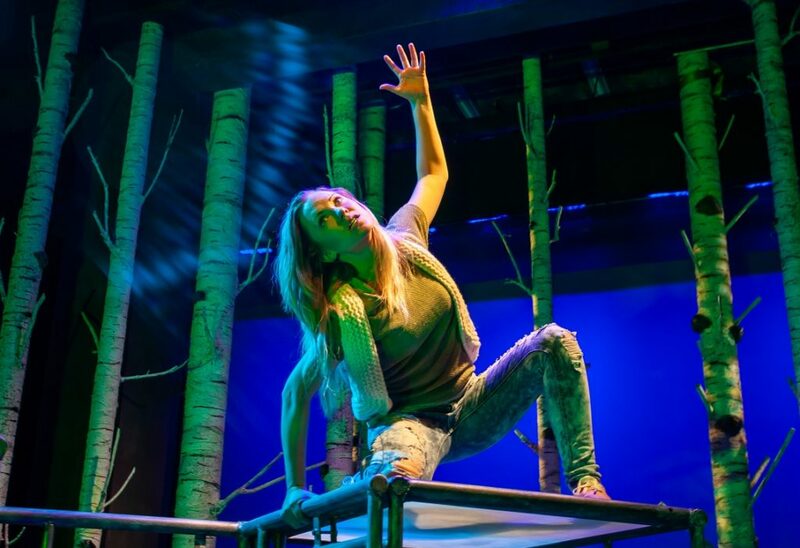 Hippodrome Acting Company member Marissa Toogood shines as Eli, an ageless girl with fluid and catlike moves, not to mention an unquenchable thirst for blood. Last seen a month ago as a foul-mouthed teenage soccer player in The Wolves, the 28-year-old Toogood deftly inhabits Eli’s dark world between youth and adulthood. The curly-haired Tracy, 24, morphs into a boy half his age with a youthful presence that includes a featherweight frame, wide eyes and an innocent, toothy grin. Caldwell said she is delighted by Tracy and his portrayal of the loner Oskar, who expresses unbridled joy in one scene and panic-stricken fear the next. “He’s captivating and charming, and he can switch on a dime!” Caldwell said of Tracy. The supporting cast includes haunting performances by Clint Thornton (A Year with Frog and Toad) as a calculating enabler/murderer and Hipp newcomer Gregory Buckheit as the masochistic Jonny, who tortures poor Oskar at every opportunity. The ensemble also includes Orlando Mendez as reluctant bully Micke, Stephanie Lynge as Oskar’s alcoholic and overprotective mom, and Hipp regulars Bryan Mercer, Niall McGinty and Charlie Mitchell in multiple roles that each tackles with aplomb. Though all the action clearly takes place within the constraints of the Hippodrome’s intimate mainstage, Let the Right One In incorporates cinematic elements such as slow motion that appear to defy time and space. Caldwell said the play gets its strength from Eli and the mystique surrounding the character. In Let the Right One In, Eli is just that. At Wednesday night’s opening preview, audience members gasped during certain scenes from Let the Right One In. Sean Canady, 36, of Gainesville agreed. Gainesville resident Heather Curtis, 23, said she enjoyed the dramatized elements of Let the Right One In. There’s another discounted preview Thursday night before Let the Right One In settles in for a spooky four-week run. Seven performances a week through Nov. 4.